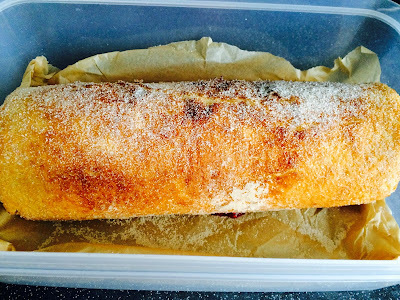 Woke up late this morning and, as I was cooking my porridge, had a weird urge to bake a swiss roll. Hm... what a great way to start a post... this doesn't happen all the time I assure you! 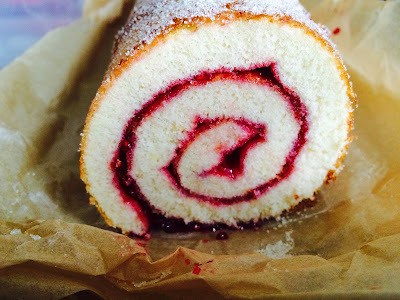 Swiss Roll, or Torta, as we call it in portuguese, brings me back to lovely memories of Sunday evening, my mum baking a torta. I had this idea in my mind that it was the easiest and simplest and quickest cake to bake as my mum was always very busy. Sundays growing up were awesome - if it was sunny and warm, I would stay home with my dad and help him wash our car ( and later on my BMX). If it was cold and rainy, I would go to the hair dresser with my mum. My mum has always been very glamourous and has always taken good care of helself. Every Sunday she would go to the hair dresser and do her hair for the week. Ever so beautiful, she was often photographed for the salon's catalogues! She would also pay a visit to the beautician and I would get the latest moisturiser samples that I would later apply on myself and all of my dolls (this was my post Tom-boy phase). After our trip to the salon, we would get home and watch either Alf or The Knight Rider and once the show had finished we ate dinner which as usually vegetable soup, sandwiches and Torta! I guess the thought of making Torta came to my mind as it's my mum's 60th birthday on 9th June! My mum had a tough battle with cancer 8 years ago and is now healthy and very happy! So I have been thinking a lot of her achievements and how much she inspires me- she is proper GIRL POWER! Pre-heat the oven 220 FAN or gas mark 8 and line a swiss roll tray (33x23cm) with grease proof paper. Beat the eggs, the sugar, flour and vanilla extract together for a couple of minutes. Add the mixture to the tin and spread evenly so it covers the entire tray and bake for 10 minutes. 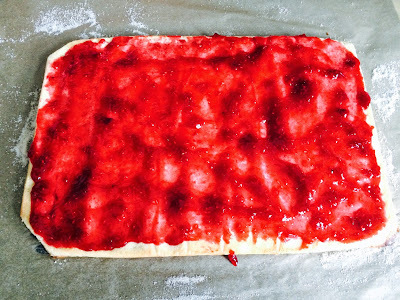 While the cake is baking line a sheet of parchment paper on a clean surface and sprinkle with sugar. One the cake is baked lay it in the prepared sheet and let it cool for a few minutes. Make a small cut in each corner or the cake and spread the jam. Roll gently. If the cake absorbed some of the sugar, sprinkle a little more at the end.